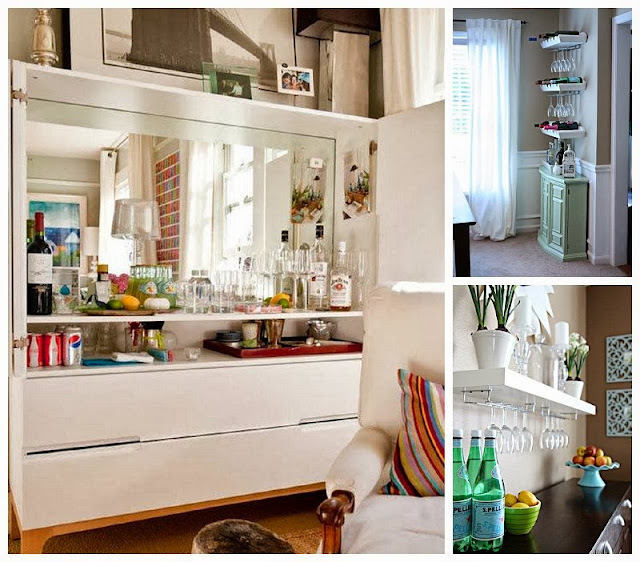 One of the things I'm insisting on for the new house when we find it (along side the cinema room and craft room obviosuly) is a space for a drinks station. A fancy pant drinks station. We currently have some original, built in Victorian cupboards in our dining room and the bottom shelf acts as a sort of drinks cabinet, but the rest of it is full of baking supplies and tupperware and and kitchen stuff that is spilling over from the teeny cramped kitchen so it's nothing to show off or shout about. Growing up my parents had (and still have) a big mahogany drinks cabinet, with a key and a velvet lined drinks space. It was always stocked with the essentials like gin and whiskey and vodka along side the less necessary liquors my dad brought back from his travels. I used to feel so special when they'd send me to get a guest a drink. It also came in handy when I was 15 and sneaking off to the park with a bottle full of a little of everything it contained! 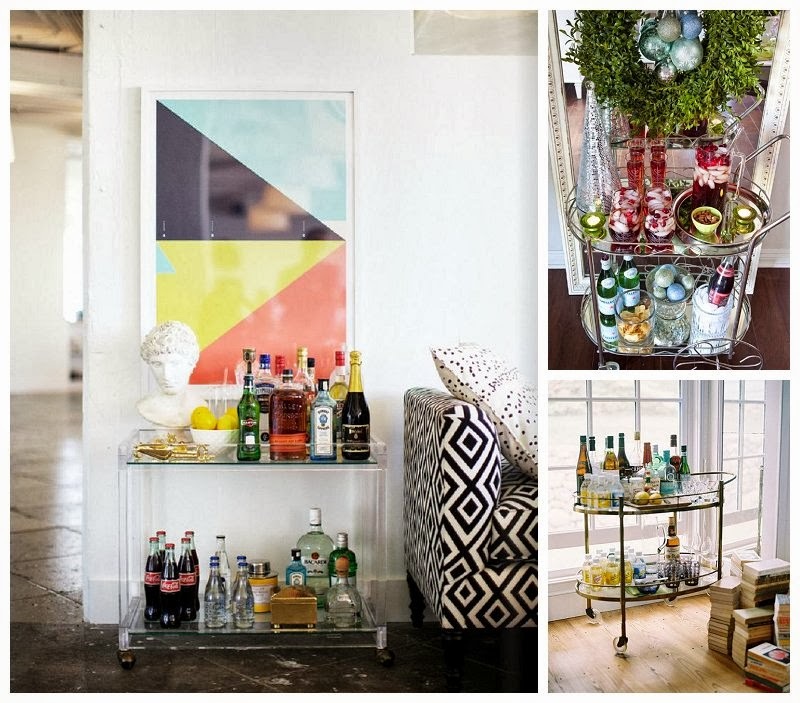 One day however, I'll have a fancy smancy space like this for my drinks and it'll be fully stocked with beautiful bottles of lovely drinks and stunning glasses and San Pellegrino limonata and I'll be party ready at all times. How do you store your drinks? Do you have somewhere special for them or is it a kitchen cupboard job? That sounds just like the one at my parents house. If it has a mirrored surface to put the drinks on you are on to a winner! Our booze is in the cupboard with the boiler but (gasp) as we rarely ever drink at home it kind of makes sense to keep it tucked away. 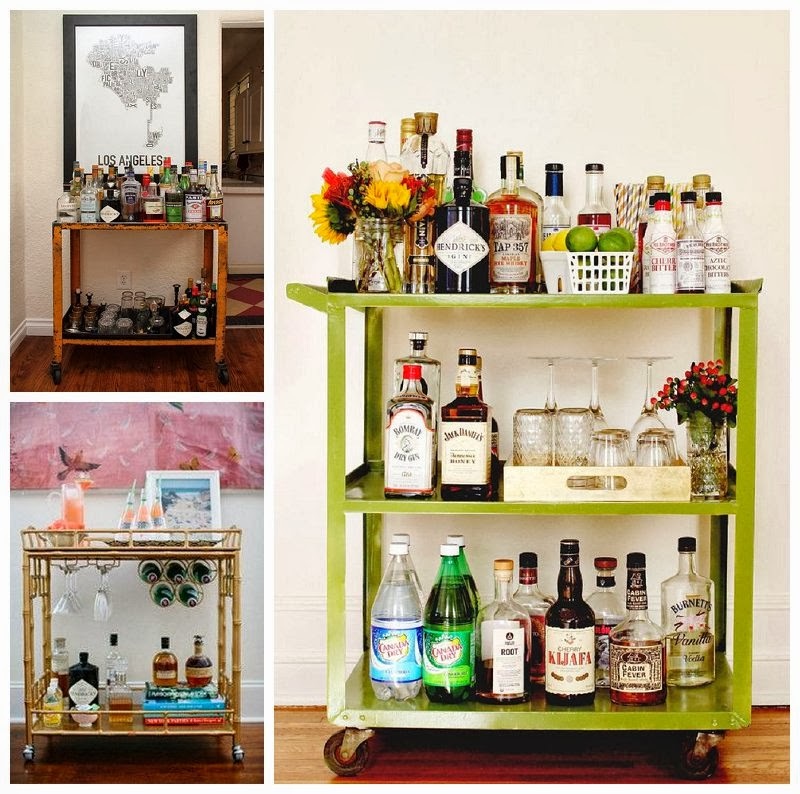 I love bar carts though - they look so cute! Aren't they just the cutest. I'd love somewhere classy to display the fancier bottles for a party. And I think the boiler cupboard sounds like the perfect place if they are rarely used! My booze is in the kitchen cupboard - sob - but I love the green one you posted. Maybe one day I'll be able to have my nice bottles on display, rather than tucked away. Fingers crossed! I'm kind of taken with the perspex one. But I love the design of the brass one with the bottle carrier attached. 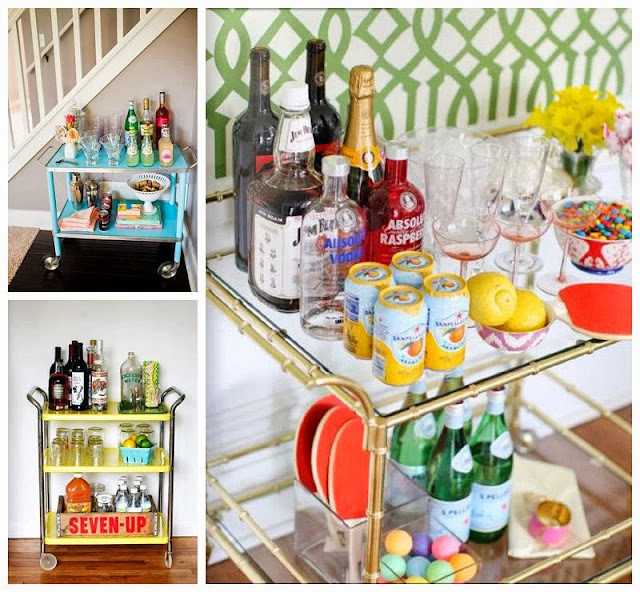 One day we'll all have wonderful boozy displays. I really want a drinks station! !